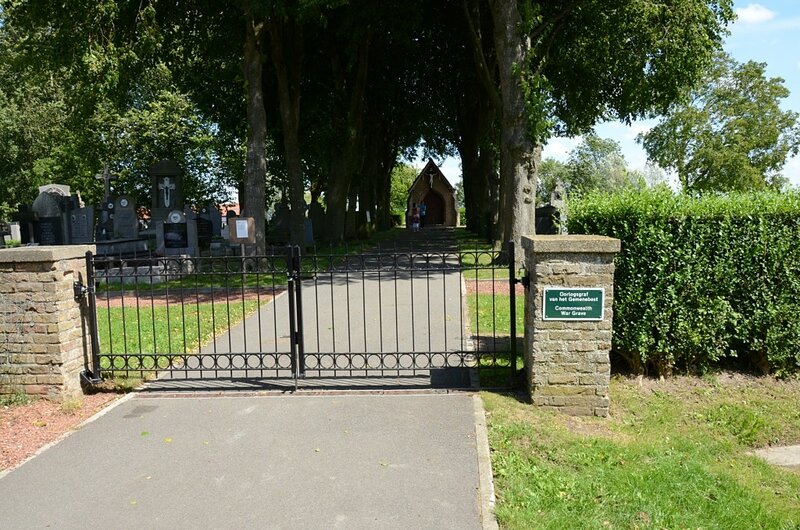 The village of Oosterke is about 5 kilometres north-west of the town of Diksmuide , off the N35 road which runs between Diksmuide and Nieuwpoort. Driving from Diksmuide go through the village of Kaaskerke and cross the railway, take the next turning on the left to Oostkerke, this is called Lettenburgstraat. Follow this into the village and at the crossroads turn left into Cayennestraat. 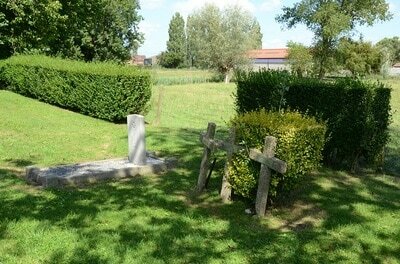 The cemetery is on the left directly after a large barn. The grave is located at the bottom of the cemetery next to three military crosses. Oostkerke Communal Cemetery contains the grave of one Commonwealth airman of the Second World War. 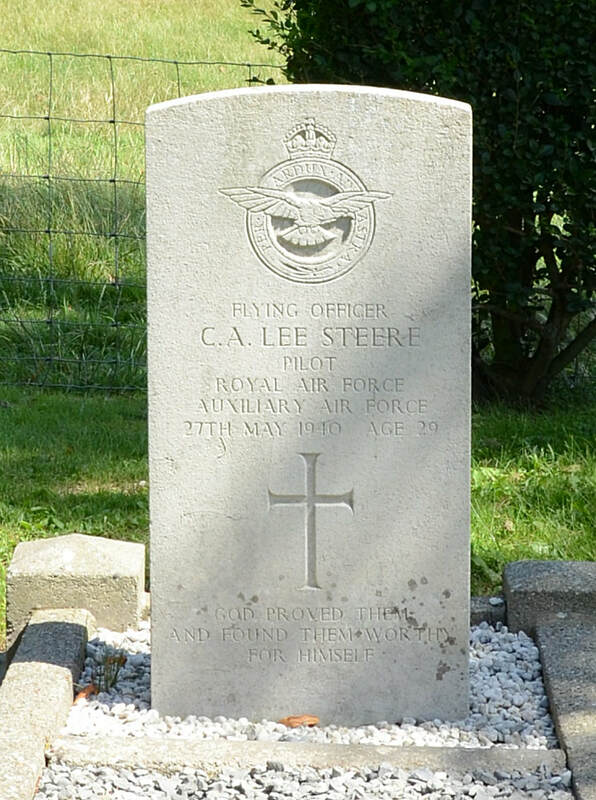 90129 Flying Officer Charles Augustus Lee Steere, Pilot in 601 Squadron, Royal Air Force (Auxiliary Air Force), died 27th May 1940, aged 29. 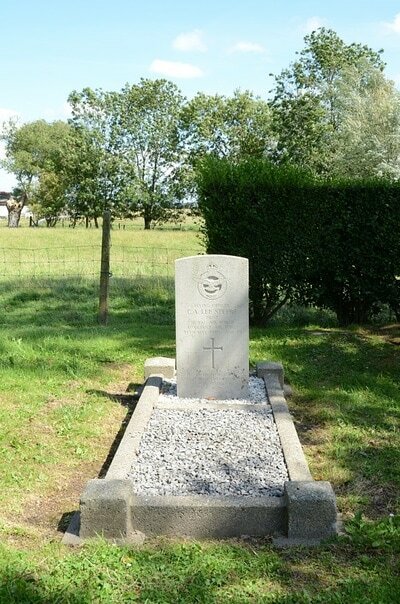 Son of Ernest Augustus and Bridget Yelverton Lee Steere; husband of Patience Hargreaves Lee Steere, of Ockley, Surrey.